Seaweed is one of nature’s most amazing superfoods. It is one of the most nutritionally dense foods on earth and the most abundant source of minerals in the entire plant kingdom, filled with antioxidants, calcium and a wide range of vitamins – but that doesn’t even begin to tell the full story of how incredibly healthy this food is for us. Iodine content. Seaweed is an extraordinary source of a nutrient that is missing in nearly every other food: iodine. It’s important to consume a healthy level of it in order to maintain a healthy thyroid. If this gland doesn’t function properly, it can result in symptoms like fatigue, muscle weakness, high cholesterol or even serious health conditions such as impaired memory and heart palpitations. Regulating estrogen and estradiol levels. These hormones are responsible for the proper function of sexual organs; consuming seaweed could potentially decrease the risk of breast cancer. It may also help to control PMS and improve female fertility problems. Rich in antioxidants. Seaweed contains powerful antioxidants that offer anti-cancer properties and help to decrease inflammation in the body which contributes to all types of disease and illness, including arthritis, depression, celiac disease and asthma. Protection against environmental toxins. Seaweed offers potent chelating properties providing protection from all types of environmental toxins such as heavy metals and pollutants, converting them into harmless salts that the body is able to easily eliminate. The plants are also rich in chlorophyll which is a powerful natural detoxifier that helps draw out waste products. 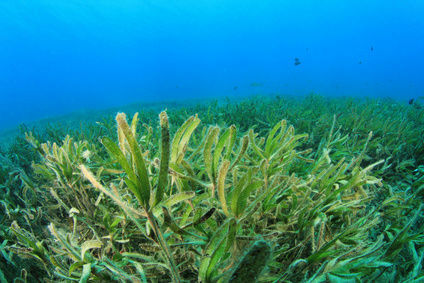 Which types of seaweeds can you enjoy daily? Kelp is the most readily available type of edible seaweed and the most common seaweed, found along ocean shores. In the store, you’ll usually find it in a dried form. Soaking it for a few minutes makes it more pliable and edible. It can also be added directly to soups. Dulse is a red seaweed that is generally found either whole or in flakes. It can be shredded, dried and sprinkled on soups or salads; fresh dulse may be sautéed with butter and garlic, or rubbed with organic olive oil and sea salt and roasted in the oven to make chips. Most people who have eaten sushi are familiar with nori as it’s the type of seaweed used to make sushi rolls. This mild form of seaweed typically comes roasted in sheets or squares. You can eat them plain or use them to wrap up a quick, healthy snack. Arame is a brownish-black, stringy looking seaweed that is used primarily in Japan, China, and Korea, although Peruvian and Indonesian cuisine employ it as well. It needs to be soaked for several minutes before adding it to cooking, where it will double in size. It has a sweet, mild flavor and makes a great side dish for grilled meat or fish. It can also be added to a stir-fry, soups or salads. Wakame is an edible form of kelp, a deep green seaweed that is sold fresh or dehydrated. It tastes best when soaked in water for a few minutes, then it can be sprinkled in soups, stews, used in a stir-fry or a savory dish. Another form of edible kelp, kombu has been used in Japan for hundreds of years as a mineral-rich flavor enhancer. Add a strip when cooking beans to make them easier to digest and to reduce gas. Adding a strip of kombu to sprouts while they’re soaking will allow them to soak up the minerals of the seaweed. When buying seaweed, be sure to look for certified organic brands as seaweeds tend to absorb compounds that are found in the ocean where they’re grown. Buying organic will help ensure that they are grown and harvested in unpolluted waters that are free from potentially harmful substances. Previous articleMaking Sense of Stevia—What Is Really Pure? Hey Buddy!, I found this information for you: "Try These Seaweeds Loaded With Iodine and Antioxidants". Here is the website link: https://www.thealternativedaily.com/try-seaweeds-loaded-iodine-antioxidants/. Thank you.